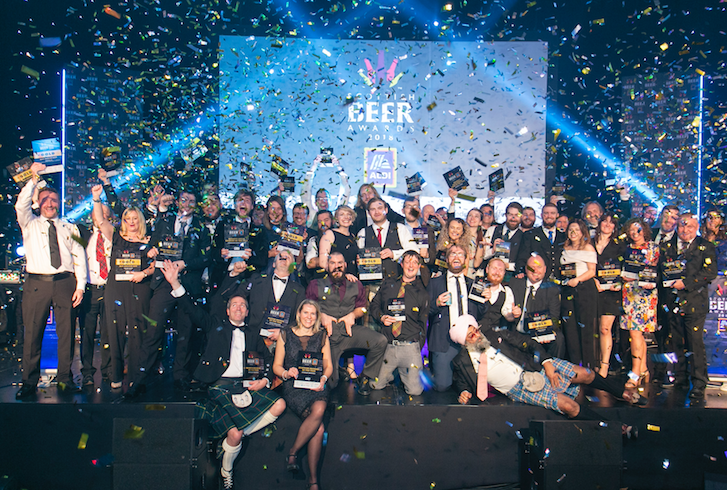 The winners of the 3rd annual Scottish Beer Awards have been revealed at the biggest ever celebration of Scottish brewing held in Edinburgh. Nearly 400 guests from across the UK brewing industry gathered at the Corn Exchange for the presentation ceremony following a wide-ranging competition which has been running since February. Awards were presented for both business performance and taste after 296 Scottish beers were presented into the blind tasting competition. Edinburgh’s Stewart Brewing was presented with the ultimate award of the night, Scottish Brewery of the Year, after a phenomenal year of growth in turnover, exports and product development. Stewart Brewing also walked away with awards for Growth Business of the Year and two taste award medals for their Corpse Reviver and Cascadian beers. However, it was Fierce Beer from Aberdeen which triumphed in the hotly contested taste awards, winning four gold medals and one silver medal. Last year’s champion BrewDog enjoyed further success this year winning six medals in the IPA, Barrel Aged, Stout and Amplified Beers categories. 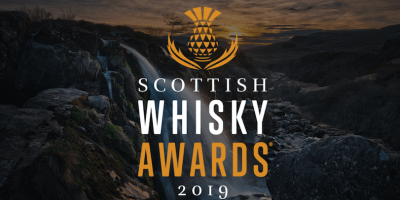 Hilary Jones, chairman of the judging panel commented: “Now in its third year, the Scottish Beer Awards are an eagerly-awaited celebration firmly fixed in the UK brewing calendar. This year’s competition saw the introduction of a new category, created in collaboration with headline sponsors, ALDI to recognise emerging talent. The Emerging Brewer of the Year Award was presented to Jonathan Robinson of Innis & Gunn who was praised by the judging panel for his passion and commitment to the sector and specifically towards his role as a young brewer in a rapidly growing business. Graham Nicolson, group buying director, ALDI Scotland, commented: “We’re hugely proud to have been headline sponsors of the Scottish Beer Awards since 2016 and privileged to work with so many of the breweries recognised at the awards this evening. The popularity of Scottish beer continues to grow, and we are pleased to be a part of such an exciting time for the Scottish brewing sector. St Andrews Brewing Company – Notorious B.I.P.A. WINNER: Scott Williams, Williams Brothers Brewing Co.
Adam Gray, Merchant City Brewing Co.